A woman interjected into a conversation at a Washington, D.C. restaurant to say she supported President Donald Trump and two women attacked her, she told police. 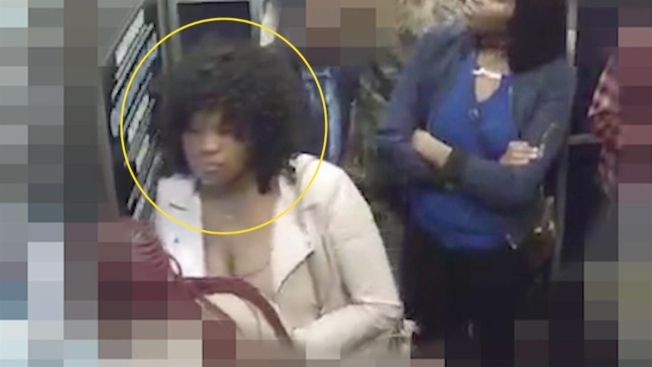 D.C. police are seeking two women as persons of interest in a felony assault after they allegedly attacked a woman inside the taco shack Surfside in downtown D.C. A portion of the clash was caught on video. The victim told police she was at the restaurant on N Street NW about 1:40 a.m. Friday, March 16 and overheard a conversation among two women and a man, a police report says. At some point, the woman interrupted their conversation and said "I support Donald Trump," she told police. The two women then assaulted her, she said. A silent, 43-second video clip from police shows a woman wearing a white jacket and crop top lunge toward someone off-camera who appears to be filming her. The woman's right arm winds up and the video image shakes. Surveillance footage shows the woman in the white jacket and a woman in a black jacket standing in line at the restaurant, alongside a man wearing a tie. The woman left and went to Suburban Hospital in Bethesda. Information on the extent of her injuries was not available immediately. Anyone who can identify the women in the video or who has knowledge of the incident is asked to call police at 202-727-9099. Tips also can be sent via text message to 50411. A reward of as much as $1,000 is offered.